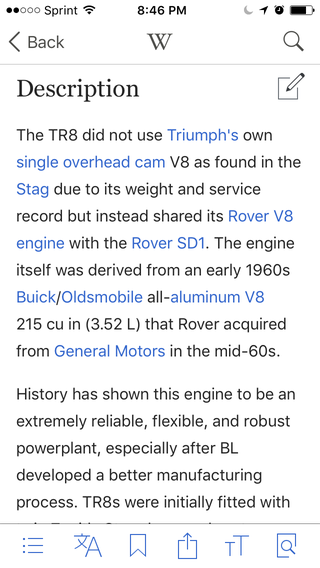 Somebody was smoking some serious crack when reporting the reliability of the Rover V8 on the TR8 Wikipedia page. Edit: Apparently the engine itself wasn't that bad. I stand corrected.